This coming Tuesday, I’m doing a talk and a reading for a local active retirement group. I’ll be telling them where the idea for my novel, The Pink Cage, came from. And I will tell them it all began in a cottage in Co. Clare, Ireland. 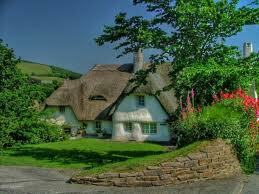 A white stone cottage, with a hob by the fire. I arrived there fresh from a Masters in Journalism which hadn’t proved quite the golden career ticket I’d originally imagined. I’d dutifully sent out my CVs and Cormac McConnell, an old-school journalist, was one of the few to reply. He was Head of News at a local radio station and invited me down for a week’s trial. When I asked what accommodation was available, he told me I could stay with himself and his wife, at the aforementioned cottage. Cormac met me at the bus station, a glorious stereotype of a journalist: white beard, cigarette in hand, coffee at the ready. In true journalistic style, he shot straight from the hip. Within minutes, he told me he couldn’t give me a job, because he needed someone who could see well enough to chase ambulances around the back roads of Co. Clare. But during that week, he taught me how to tell my own story and I still think of that week as one of the greatest in my life. As a seasoned journalist, Cormac had a keen eye for an angle. Over chats by the roaring fire and cups of ‘sleepy tea,’ we explored the angles my own life offered for stories. It turned out that my poor eyesight, the thing that had prevented me from getting the job, yielded a rich seam of ideas that I could mine. My family’s links with the countryside and country sports could also prove fruitful. During the day, I went with Cormac to the radio station, which I helped the news team gather stories. Cormac’s style of journalism is folksy, rooted in the countryside and local stories. He had a programme where local people could ring and tell him whatever was in their heads. He was an empathic host, skilled at getting them to open up. On my last day, a man rang in with some trifling complaint about traffic. In the course of his chat, he let slip that he was a cycling postman. Cormac seized on this gem and tapped into a story about a way of life that’s now almost extinct. The man’s father had been a cycling postman and his grandfather had been a walking postman. The man painted a vivid portrait of men braving all weathers to bring people a link to the outside world. That was when I felt the true power of story: simple, beautiful, eloquent. In the coming years, I panned the mine of ideas Cormac had helped me tap into. I wrote about assistive technology for people with disabilities, skiing trips, the Countryside Alliance, Macra na Feirme and research into eye conditions. But I found that journalism didn’t quite give me the freedom I needed to say the things I wanted to say about what it’s like to be visually impaired. As the bottom began to fall out of feature writing, the novel began to take shape. When it was published, I made sure to send Cormac a copy. Throughout history, artists have always had a special place in society. It was recognised that their contribution to society went beyond the financial and people were willing to support them so that they would have the space to create their masterpieces. Let’s face it, it made the rich patrons feel good to have an artist around, so they could show all their friends they weren’t just about the money. And if an artist was dirt poor and had no financial support, it didn’t matter – they were an artist. Unfortunately, or so it seems to me at least, that mentality is now gone. Artists are expected to fit in with society. That means they usually have to do another job with their art to make ends meet. Grants are getting scarcer and scarcer. When an artist finishes a piece of art, they’re is expected to treat their work as a product and promote it. In other words, they have to sell themselves, a concept that fills many of them with curdling resentment. Shouldn’t an artist’s work speak for itself? Well yes, but only if there are people to listen. The world is increasingly fragmented and people’s attention is getting harder and harder to hold. If you want them to know about your work, you have to tell them about it. That’s the secret to selling work as an artist – selling by telling. You don’t need a fancy campaign. You don’t need to spend a lot of money. You don’t need to be in people’s faces. You just tell them about your work, the thing you are most passionate about. When you’re finished your work, the ink or paint is dry, the last note written, the last line learned, have a brainstorm with yourself. Think about what inspired you to create the work, what process you went through to finish it, what message you wanted it to portray. In other words, tell the story of your work. When you’ve done that, there are some wonderful free tools you can use to tell your story. You’ll be familiar with these already. The social media tools: Facebook, Twitter, blogs. Then the good old traditional media. Your local newspaper or radio station will be your greatest champion. Make sure you accompany your words with good pictures. That’s what’ll really speak to people. You’ve worked hard to get to this point. Wouldn’t it be a shame if that work went unrecognised. This is where artists have lessons to learn from the business community. Business people aren’t afraid to put a value on their work. If artists do the same, their status will rise and they will get the following they deserve. Today in camp, the children created characters and brought them to life, with some hilarious acting. And I got an extra student. A happy, writerly Easter to all my friends, followers and fans. Talk to you soon.